This buprestid has turned deep metallic blue while still in its pupal skin. It moves its front legs a little now in response to being stroked with a camelhair brush. Question: Do all bups go metallic before expupating? 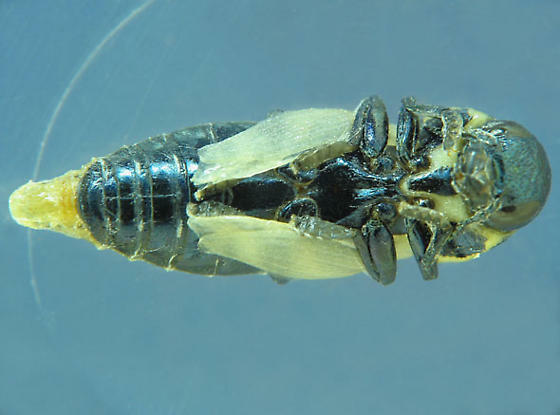 Do all metallic-colored beetles (or insects that have full metamorphosis for that matter) emerge from pupa already metallic? Is it just the pigmented colors as opposed to mechanical (metallic) colors that require air exposure after expupation to develop?